– Contact dermatitis, atopic dermatitis, nummular eczema, stasis eczema, lichen planus, lichen simplex chronicus . – Psoriasis, seborrheic dermatitis, prurigo, discoid lupus erythematosus, and insect bite reactions. A small quantity of it should be applied gently to the affected area once or twice daily until improvement occurs, and then only once a day to maintain improvement. The effect of Betadermmay be increased, if necessary, in the more resistant lesions, by occlusive dressings. – Conditions that enhance systemic absorption include use over large surface areas, prolonged used, and the addition of occlusive dressings . – Long· term topical use is best avoided, especially in children . – Pregnancy and lactation; the drug may be used only if the potential benefit justifies the potential risk. .
– BIITADERMeshould not be applied to the eyelids or skin near the eyes. – Rosacea, peri-oral dermatitis or acne. – Monotherary in primary bacterial, tungal, or viral infections. – Local side effects may include burning, itching, skin atrophy, and striae . – Cushing’s syndrome, and hyperglycemia. .
– These side effects may occur more frequently with occlusive dressings. 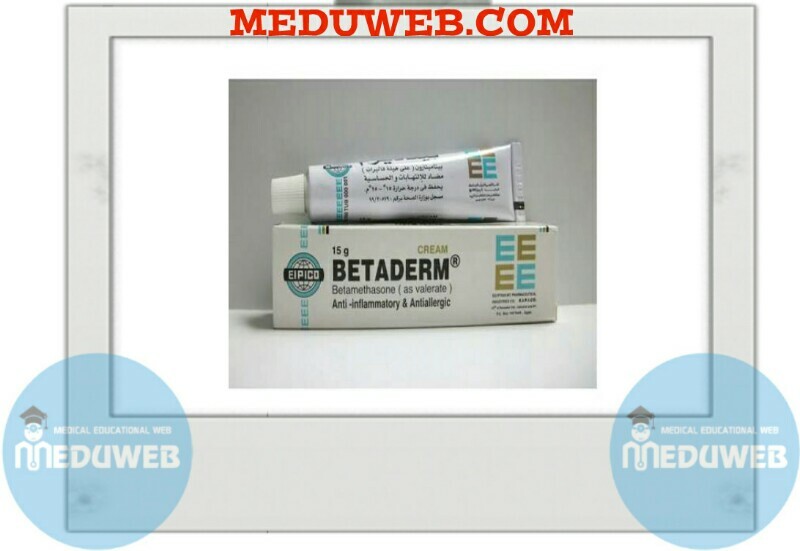 BErADERM OIntment: Tubes of 15 or 20 gm. – Medicament is a product which affects your health, and its consumpton contrary to instructions is dangerous for you. – Follow strictfy the doctor’s prescription, the method of use, and the instructions of the phannadst who sold the medicament. – Do not interrupt the period of treatment prescribed by yourself. – Do not repeat the same prescription without consulting your doctor. 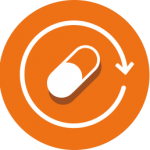 – Keep medicines out of the (each of children. E. I. P.I. CO. 10th OF RAMADAN CITY. EGYPT.